I believe most of us had already the great opportunity of meeting the work of Eckhart Tolle, either through his books, videos, and conferences. 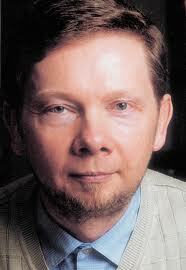 Eckhart message can be 'puzzling' sometimes but in the end it is very clear. I would like to share this video of one of his conferences with you. Although it is a bit long, I hope you enjoy it and that his message can bring more enlightnement to your life. Above all, live the moment.